This is Effie. Effie is a chicken. She belongs to a boy named Ethan, whose mom works at Johnson’s Nursery, and they often shares Effie’s eggs with the staff. But besides laying delicious, organic, protein-rich eggs, Effie and her friends provide another service for her human family. 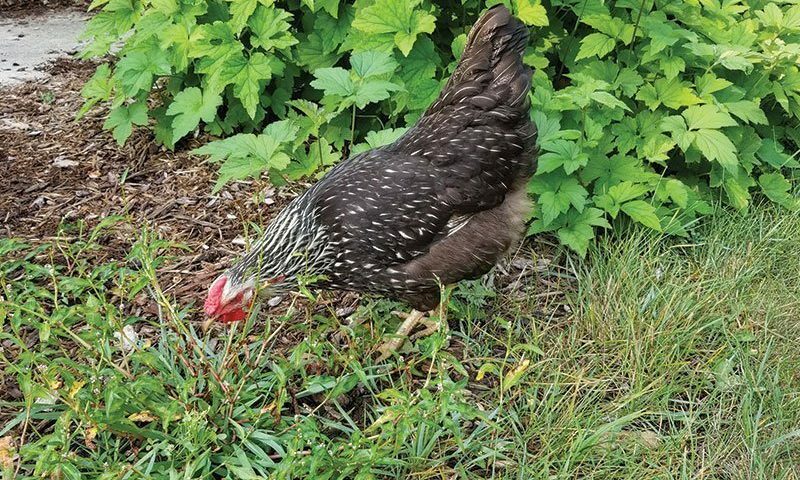 Since deciding to raise chickens, they have noticed a huge difference in the Japanese Beetles population in their yard. 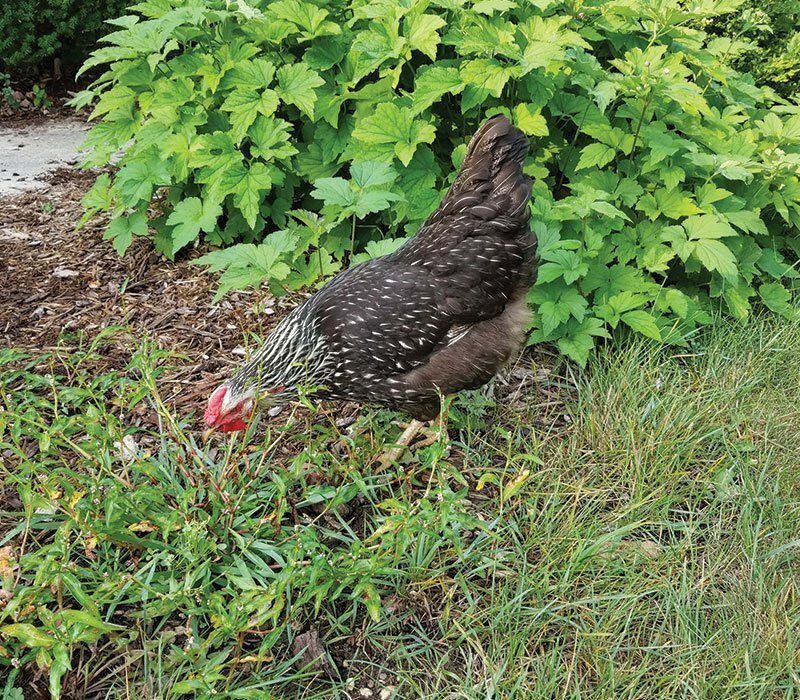 Turns out, chickens love to eat Japanese Beetles, a voracious species of insect with few natural predators in the United States.